With Thanksgiving just around the corner, I am sure many of you are busy devising menus and tidying up your homes for the big feast you are throwing. Slowly, but surely, things are being crossed off the To-Do list. However, you’re still unsure of what to create for dessert aside from the usual assortment of pies. 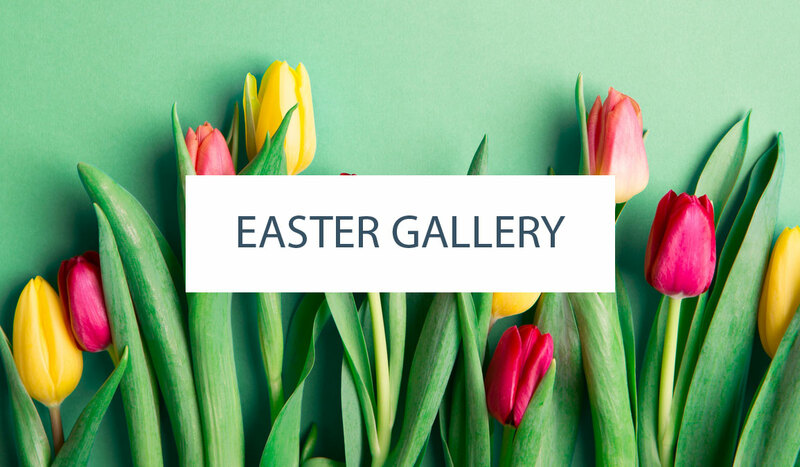 You want to create something that impresses your mother-in-law or steals all the attention away from Aunt Betty’s famous caramel apple crisp– you want to earn several accolades for your artistic and cake-creating abilities. If this all sounds quite familiar, this cake may just be for you! 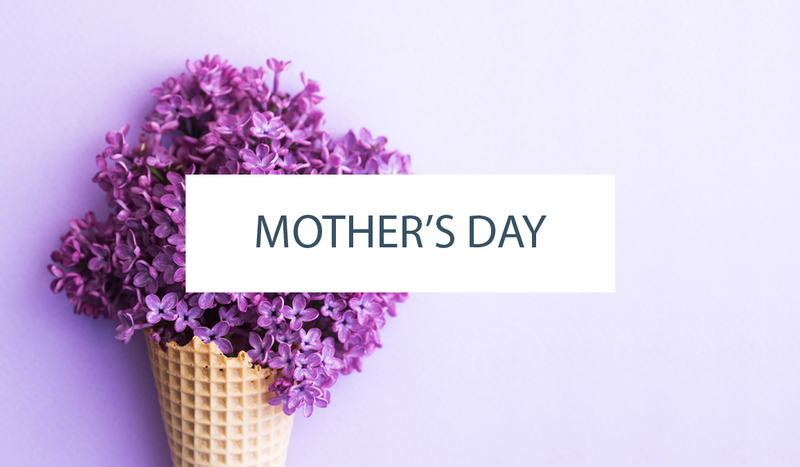 It can also double as a table centerpiece, so you can cross off another item on your list! Kills two birds with one stone, you know? A few days in advance, make the cores so they have enough time to dry completely. To do this, roll a bit of gumpaste (about the size of a small gum ball**) into a ball and then taper one edge so it become a teardrop shape. Dip skewer/toothpick/floral wire into water and insert into the non-tapered end of the teardrop. Seal the opening and let dry standing up in a block of styrofoam or cup of rice. ** Size of the core depends on the size of the flowers you wish to create. STEP 1: Everyone has a different way of creating roses, but I like to build the first three layers by using the same sized cutter– cut 6 petals. STEP 2: Take one petal and using a balling tool (or spoon), thin out the top half of the petal. It is important that only the edges are thinned out. STEP 3: Put a little dab of water on the center of the petal and glue onto the core– make sure the core is centered on the petal. STEP 4: Put a little dab of water on each corner of the petal, and fold down, overlapping the edges. You may gently curl the edges back. STEP 5: Thin out two more petals for the second layer. STEP 6: Dab a little water on one-half of a petal and wrap it around the first layer. Make sure the center of the petal and the seam of the first layer align. STEP 7: Tuck one edge of the second petal under the first petal, and the other edge over the first petal. Simply put, create a spiral. STEP 8: Glue all edges down. STEP 9: Thin out the last three petals. STEP 10: Like the second layer, you want to center the first petal of the 3rd layer with a seam of the second layer. Glue only half down, as you want to tuck the last petal into it. STEP 11: Overlapping the first petal, glue down the second. STEP 12: Tuck the last petal into the first. STEP 13: You may continue building your rose. For the next layer, use a bigger petal cutter. STEP 14: For the outer petals, you can roll the edges of the rose back with a toothpick. 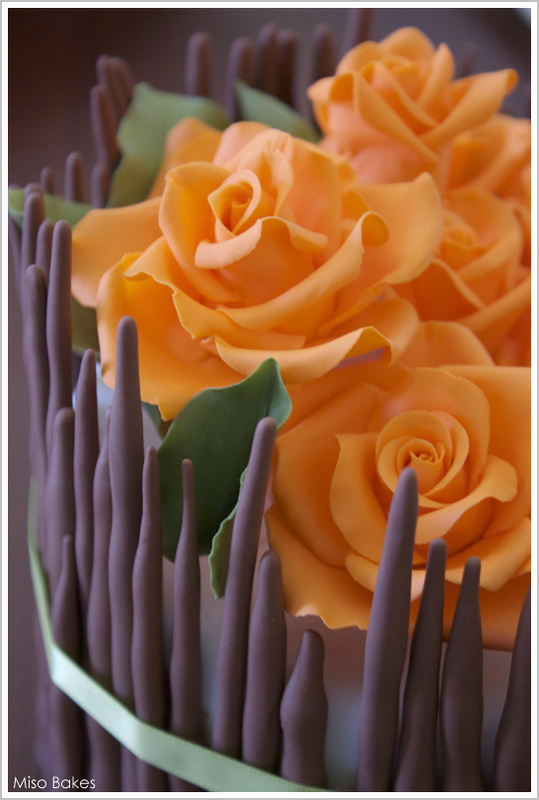 STEP 15: You may also dry out the roses on take-out spoons for more depth and curvature. NOTE: Be sure to keep your petals covered with plastic (or gently place them in a ziploc bag laying flat) so they don’t dry out. Roll out green gumpaste– thick enough to insert wire. If using veiner, leave imprints. Using petal cutter, cut out leaves. Insert wire. Thin edges. Dry. Wrap in floral tape and insert into coffee stirrers before inserting in cake. Roll out gumpaste into a long, thin snake. Taper one edge. Let dry completely (or partially). Adhere to cake with water. Bake, ice, cover cake in fondant. 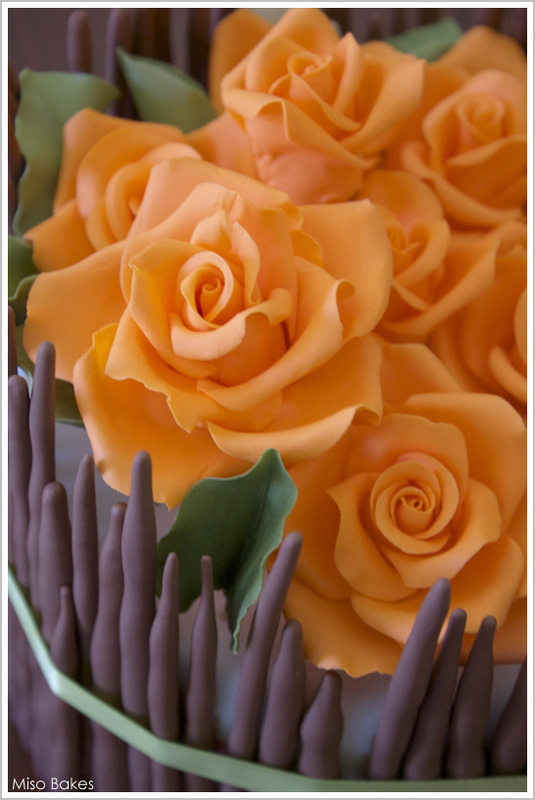 Arrange roses on top of the cake. Arrange leaves. Make sure they don’t stick out too much and get in the way of the twigs. 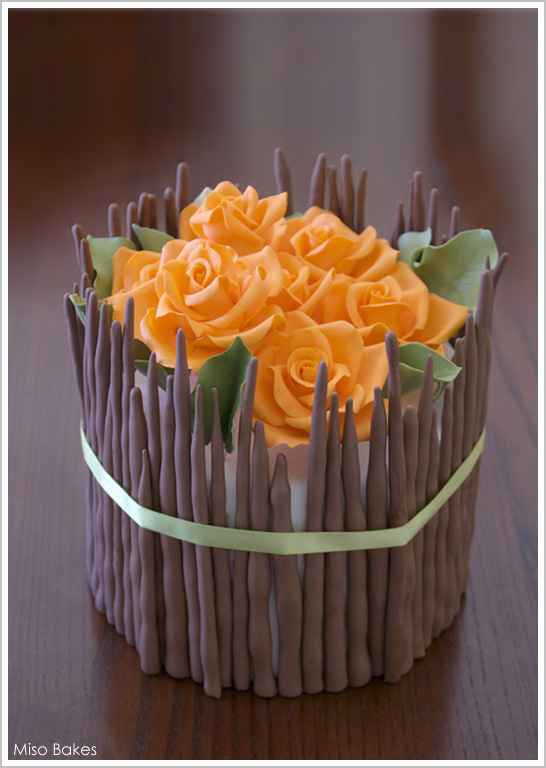 Glue twigs onto cake with water. Tie a ribbon around the cake. If you have extra time, you may make a ribbon out of fondant! This is such a beautiful cake, and Miso makes it looks so easy, one day I’ll get brave and give these roses a try. Thanks for sharing this beautiful cake and tutorial.. This is beyond gorgeous! and so easy to understand – Thank you so much! Gorgeous like no one’s business!! I will be looking these roses from now on when I make mine, cause this looks as close to perfect as I can imagine! 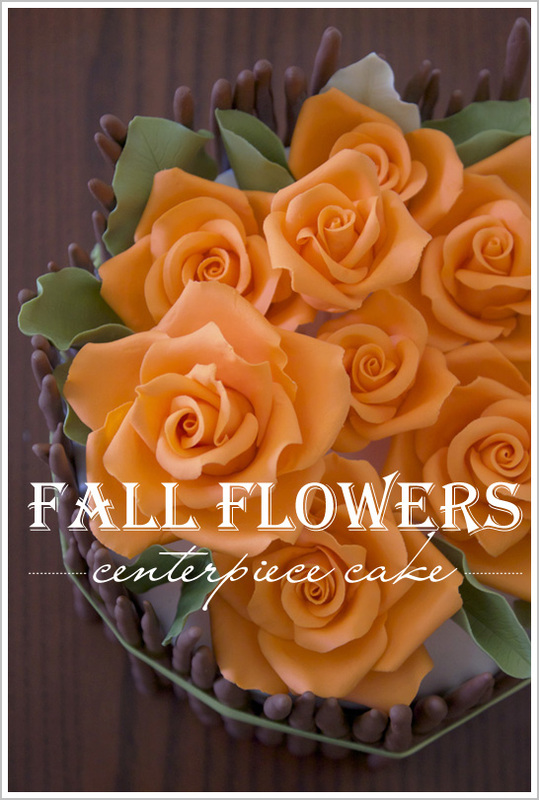 I want you to know, hands down, your tutorial for the fall flowers are so spot on and easy to follow, over any other blog on the internet. I have trouble making flowers with butter cream icing (due to inexperience) but your fondant tutorial made it so easy for me to make roses that I am actually excited about making them now. Thank you very much for sharing!